Indian music is a traditional art form that has for generations relied upon a system of teaching whereby there is a direct oral transmission from teacher to student, and where the teacher’s role encompasses not only the teaching of material, repertoire and techniques, but also often a form of spiritual guidance and mentorship. I would like to sincerely acknowledge the teachers who have initiated me into the journey of Indian music and tabla, and who continue to guide and inspire me. My first guru was Shri Kulbhushan Bhargavaji of Kobe, Japan (originally from Delhi and a native of Simla) who was my very first teacher of tabla and developed my foundational knowledge and abilities. He is a wonderful musician and tabla player who for many years was a senior instructor at the Gandharva Mahavidhyalay music academy, and was a student of the highly-regarded Pandit Prem Vallabh. Kulbhushanji resides in Kobe, Japan where he teaches and performs. 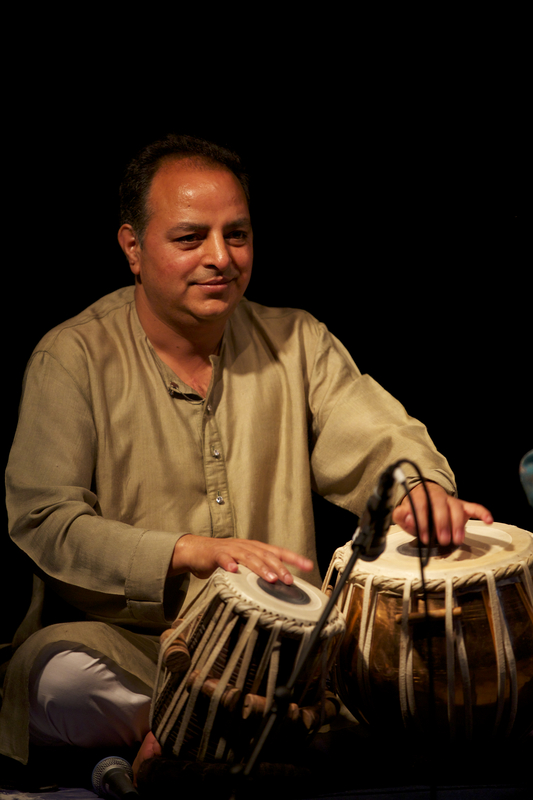 He identifies primarily with the Delhi and Ajrada gharanas (styles or lineages) of tabla playing and also has significant influence from the Farrukabad style. I had the opportunity to learn from Kulbhushanji from 2001 – 2004 as well as on a subsequent visit to India in 2007. Kulbhushanji is also a classically trained vocalist.